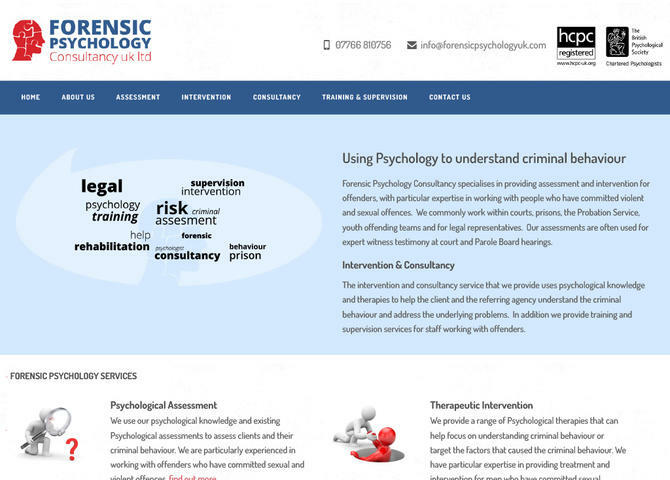 Forensic Psychology Consultancy specialises in providing assessment and intervention for offenders, with particular expertise in working with people who have committed violent and sexual offences. We commonly work within courts, prisons, the Probation Service, youth offending teams and for legal representatives. Our assessments are often used for expert witness testimony at court and Parole Board hearings.